Seller is Motivated! 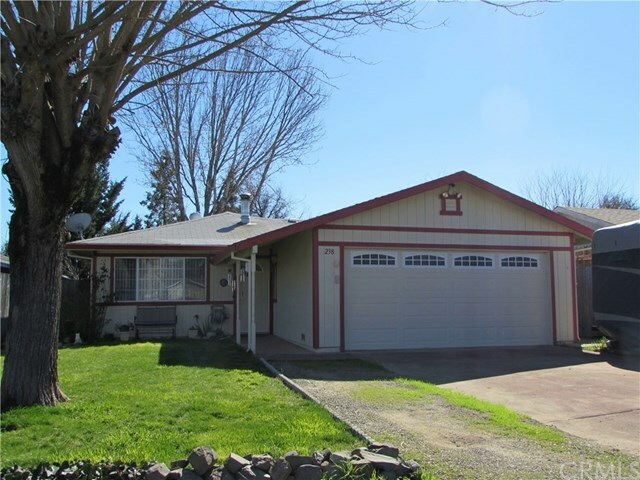 Pride in ownership shows through on this very well maintained 3 Bdrm, 2 Bath North Lakeport home! Nicely landscaped with fully fenced backyard, covered back patio and additional storage shed, barbecue area with pavers. Room for RV parking, plus a large 2 car garage with additional shelving and storage space. Home is very comfortable inside, nice neutral carpet, pellet stove surrounded by attractive rock, and a large office/den area off of the kitchen leading out to the beautiful backyard. All appliances go with the home, including washer/dryer and new stainless steel refrigerator. Close proximity to hospital, stores, schools, and town. Why rent when you can own? This is a great home for the price!